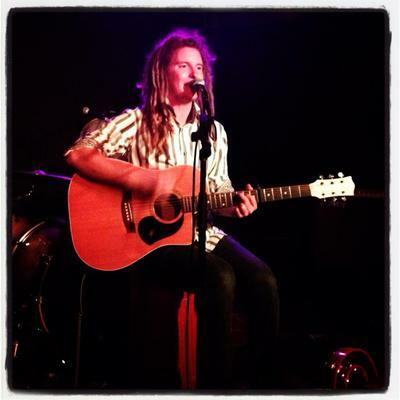 Toowoomba local Bart Thrupp is a one-man music machine. Playing acoustic folk / pop, I saw him play at The Beetle Bar recently. Supporting Night Time Fiona, Bart warmed up the crowd with his storytelling songs. I especially liked the story he told the crowd about being a BluesFest last year, having room to take only one guitar and breaking two strings during his first song. This story was told as an introduction to a song he wrote a finger-picking song on mandolin, in case the same situation occurred again. He also demonstrated his skills with a little looping work, which I find fascinating, both electroacoustic and electronic forms. And I absolutely loved his track Girl in the Fishbowl, an infectious pop song telling the story of bittersweet love and the dilemma that a difference in age can create. Regularly touring on the East Coast, like him on Facebook here to keep up-to-date on where you can catch him live, and check out his website here. You can pick up his latest release Everything You Own, or my favourite Girl in the Fishbowl, from iTunes here.